A little blood pumping ‘classical’ music for your Monday morning. 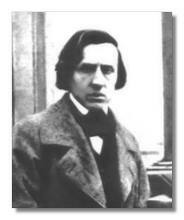 Chopin was actually a composer during the Romantic Period (1820-1910). He lived 39 short years, 1810-1849, but, left an amazing musical legacy in his piano works.